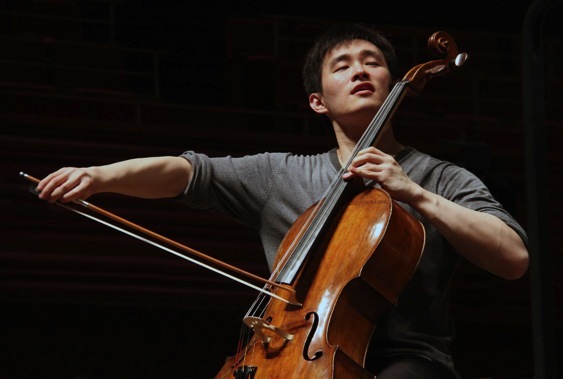 Jiapeng Nie was born in Shenzhen, China in 1989 and began cello lessons at the age of nine. From 2001 to 2005 he studied with two teachers from the Shenzhen Art School and also participated, on full scholarship, in the Morningside Music Bridge international music exchange held in Calgary, Canada. 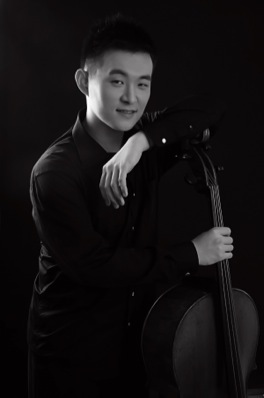 In 2009 Jiapeng had the following concerto appearances: Tchaikovsky Variations on a Rococo Theme with Hong Kong China Symphony Orchestra and conductor Lin Kehan and with Conductor Lei Yu in Shenzhen Music Hall, Elgar Cello Concerto with Hebei Symphony Orchestra and Xiamen Philharmonic Orchestra and, with his teacher Li-wei Qin, Aho Kalevi Double Cello Concerto with Shenzhen Symphony Orchestra under Conductor Zhang Guoyong, which received high praise. he will appear with the Bellingham Festival Orchestra at the Bellingham Festival of Music (U.S) to perform the Brahms Double Concerto. In 2011 Jiapeng’s first CD appeared on the China Record Corporation label. Zhonghui Dai is the Chief Conductor of the Shenzhen Symphony Orchestra and Guest Conductor of the Tianjin Symphony Orchestra. He has held the position of Professor of Trumpet at the Central Conservatory of Music in Beijing since 2002, and is the Director and Principle Conductor of the Central Conservatory Wind Ensemble. He has performed at the National Performing Arts Grand Theatre concert hall, Beijing Concert Hall, Forbidden City Concert Hall, Peking University, Qinghua University, and most of the major venues in China, with performances broadcast on the National TV of China. He has also conducted and given Master Classes in America, France, Japan, South Korea, Thailand, Singapore, Taiwan, and Hong Kong. Zhonghui received his Master of Fine Arts in Music degree from the International University in San Diego and studied seven years at the School of Music at the University of Southern California. In 1990-91 he was awarded a fellowship at the Tanglewood Music Center and the Los Angeles Philharmonic Institute, where he studied and collaborated with Seiji Ozawa and Simon Rattle. Other conductors with whom he has worked include Charles Dutoit, Olif Koch and Kurt Mazur. 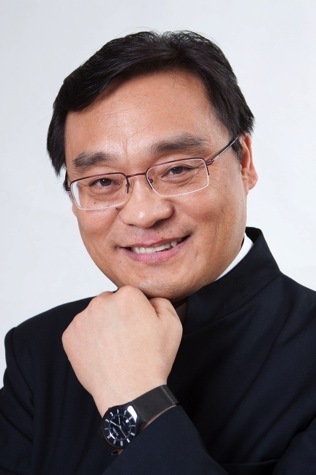 Frequently Zhonghui has served as a judge for International Competitions, including the Seoul International Musical Festival, Tokyo International Trumpet Competition, Budapest International Trumpet Competition, and Korean Jiju International Trumpet Competition. He is also on the panel for the National Wind Ensemble Competition hosted by the Chinese Symphonic Wind & Ensemble Association every year in Shanghai as well as the Thailand International Wind Ensemble Competition. Although Brahms did not attend the university when he lived in Göttingen in the early 1850s, Joseph Joachim and other friends introduced him to the student songs of the day and to the freshman initiation “fox-ride” around the tables in the common room. He drew on these experiences many years later when he composed his Academic Festival Overture, having received an honorary doctoral degree from the University of Breslau. In typical fashion, Brahms had not attended the 1879 ceremony and had to be persuaded by his friend Bernard Scholz, conductor of the Breslau subscription concerts, that the University would be expecting a musical thank-you rather than a simple postcard. The resulting Overture, completed in 1880, was premiered in Breslau on January 4, 1881, with the composer himself conducting. The University rector, senate, and philosophy faculty were all on hand to show their appreciation. Brahms, who habitually belittled the merits of his own pieces, described the Academic Festival Overture as a “jolly potpourri of student songs à la Suppé.” Franz Suppé had indeed included several student songs in the simple medley-overture to his operetta Flotte Bursch (1863), but though Brahms used one of the same tunes—the famous “Gaudeamus igitur” (Let us now enjoy ourselves)—he went far beyond a mere “potpourri” in his ingenious combination of student songs and sonata form. The introduction presents the main theme in mysterious guise, later to be transformed in the triumphal first subject; this introductory material also finds its way into the development and preparation for the recapitulation. The first student song, “Wir hatten gebauet ein staatliches Haus” (We have built a stately house), crowns the introduction in hymnlike fashion, solemnly intoned by trumpets and horn, and leads into a full majestic declamation of the main theme. The second student song, “Hochfeierlicher Landesvater” (Most solemn song to the father of the country), becomes the melting second subject, played by second violins and violas adorned by a floating pedal-point in first violins. The “fox-ride” song, “Was kommt dort von der Höh’?” (What comes there from on high? ), enters in a spirit of irrepressible fun as the closing theme of the exposition, played tongue-in-cheek by bassoons and oboe, then interrupted boisterously by full forces. Brahms caps his celebration with a grandiose coda based on the last of his student songs, “Gaudeamus igitur.” The orchestration, though modest by Mahlerian standards, is the largest Brahms ever used: 2 flutes, piccolo, 2 oboes, 2 clarinets, 2 bassoons, contrabassoon, 4 horns, 3 trumpets, 3 trombones, tuba, timpani, bass drum, cymbals, triangle, and strings. Tchaikovsky began composing his Variations on a Rococo Theme in 1876 following the completion of the full score for Francesca da Rimini and his immersion in plans for an Othello opera, which never materialized. The drastic contrast from a world of fervent dramatic expression to one of grace and elegance was occasioned by a commission from German cellist Wilhelm Fitzenhagen, who had become one of Tchaikovsky’s fellow professors at the Moscow Conservatory. Tchaikovsky’s idea for a “rococo” piece has often been linked to his love of Mozart, and indeed he had been adapting Mozart’s Marriage of Figaro into Russian for a student performance at the Conservatory just prior to composing the Rococo Variations. Yet his original theme appears to be a reflection of what Mozart and rococo meant to a nineteenth-century Russian, rather than something specifically Mozartean. The four-bar phrases of the theme, the eighteenth-century size of the orchestra, and the overall atmosphere are the only truly rococo or Mozartean aspects of the work. The use of the term “rococo” in music is fraught with confusion. Most appropriately it refers to French or French-style works that reflect the rococo style of the visual arts in France from the 1690s to the 1760s—works characterized by delicate ornamentation, graceful elegance, and often a certain sophisticated wit. Relatively recently scholars in architecture and the visual arts have stressed the formal similarities to the Baroque style, rather than viewing the rococo style as a reaction against it. In music the term has been extended to include all European music of the time, including that of Italy, which is where the “early Classic” or “galant” style originated. While rococo style traits may exist in certain areas of Italian art of this period, few direct parallels can be drawn with Italian music. “Early Classic” works by Haydn and Mozart have been called “rococo” by the confusing extension of the term, and it may be that Mozart and rococo were linked in Tchaikovsky’s mind. Tchaikovsky’s Rococo Variations could be called a variational fantasy, in that the variation form is treated not as a compact sequence in the manner of Mozart, Beethoven, or even Brahms, but freely, with interludes and cadenzas. This is evident even in Fitzenhagen’s version, which was published in 1889 and is the one most often played today. Fitzenhagen, who had given Tchaikovsky some advice about the solo part even before Tchaikovsky scored the piece for orchestra, altered Tchaikovsky’s work significantly. The most drastic change was made in the variation order, including the placement of the D minor Andante variation (originally No. 3) closer to the end, presumably because of its applause-drawing power, which Fitzenhagen had reported on one occasion to Tchaikovsky. The slow, triple-time variation in C major, in which Tchaikovsky explored the farthest reaches of the theme, was moved from its penultimate position to third. Fitzenhagen also discarded Tchaikovsky’s original ending variation (No. 8) when he kept the pairing of the D minor variation with its original successor, to which he tacked on the coda. Other changes included dynamic markings, phrasing, and the addition of repeats to both halves of the theme. Versions aside, Tchaikovsky’s beloved work makes equal demands on the cello for rapid, virtuosic passages and singing, tender phrases, and masterfully balances the interplay between cello and accompaniment. Liszt, who heard Fitzenhagen’s performance of the work in Wiesbaden in 1879, reportedly remarked to the cellist, “At last here is music again.” It would be very interesting to know the exact context of Liszt’s remark! Tchaikovsky wrote most of his Fourth Symphony in 1877, a time of personal crisis. That spring Antonina Milyukova had begun sending him passionate letters, and, having met her in May, the composer decided to marry her in July. He hoped not only to quell gossip about his sexual orientation, but he also did not want to mirror Eugene Onegin’s heartless spurning of Tatyana in Pushkin’s play, which he was considering as a possible opera subject. Tchaikovsky instantly regretted the marriage, and by October was in a complete state of mental collapse, whereupon his brother Anatoly arranged for a permanent separation. The Symphony had been completely sketched by June 8, but the scoring was interrupted by the Antonina upheaval and by work on Eugene Onegin. Tchaikovsky’s manuscript, left behind in Moscow when he had fled, was sent to him in Switzerland, where in mid-December he was able to resume work. He put on the finishing touches on January 7, 1878. By happy fate Madame Nadezhda von Meck entered his life the very same year. She became his patroness and confidante, although they never met. Tchaikovsky dedicated his Fourth Symphony “To my best Friend,” but she was the only person in the audience at the first performance in Moscow on February 22, 1878, who knew that friend’s identity. “This work is patterned after Beethoven’s Fifth,” the composer had written to Mme. von Meck, “not as to musical content, but as to the basic idea. Don’t you see a program in the ‘Fifth’?” As in that great work “inexorable Fate” is the main idea behind Tchaikovsky’s Fourth. The first movement, one of Tchaikovsky’s most formally innovative, begins with a commanding horn call, a familiar mannerism with Tchaikovsky, which he told his patroness was “the kernel, the quintessence, the chief thought of the whole symphony. It is Fate, the fatal power which prevents one from attaining the goal of happiness. . . There is nothing to be done but to submit to it and lament in vain.” And indeed, Tchaikovsky never lets us forget this theme, recalling it at the end of the lengthy exposition, at the end of the development, and again in the last movement. The first movement is remarkable for its meter—9/8, highly unusual for a symphonic movement at that time—and for the remote key area of the second theme and the extreme harmonic turbulence of the development section. The ternary-form slow movement, Tchaikovsky said, “expresses another phase of suffering”—a feeling of melancholy at the bitter yet sweet recollections of youth. Yet this gentle movement with its lovely oboe solo and singing string passages does offer respite from the weight of the first movement. First the strings play by themselves entirely pizzicato; in the trio the woodwinds enter and also play by themselves; they are replaced by the brass section, again playing alone; at the end of the Scherzo all three groups answer one another in short phrases. I think this sound effect will be interesting. Tchaikovsky based his Finale on the Russian folk song “In the fields there stood a birch,” although in the rhythmically altered form in which it appears in Balakirev’s Overture on Three Russian Themes. He sketched the movement only four days after he proposed to Antonina, which makes the choice of this song significant. The birch tree was the center of a gathering of unmarried women who wove wedding wreaths from its leafy twigs. After performing a round dance they would throw their wreaths into a stream; those whose wreaths floated would marry. To Mme. von Meck he described the movement: “If you truly find no joy within yourself, look for it in others. Go to the people. See—they know how to . . . give themselves up to pleasure! A peasant festival is depicted. No sooner do you forget yourself in this spectacle of others’ joy, than relentless Fate reminds you of its presence.” The shattering of the merriment by the Fate theme is impossible to miss. All season concerts are at 3pm on Sunday.